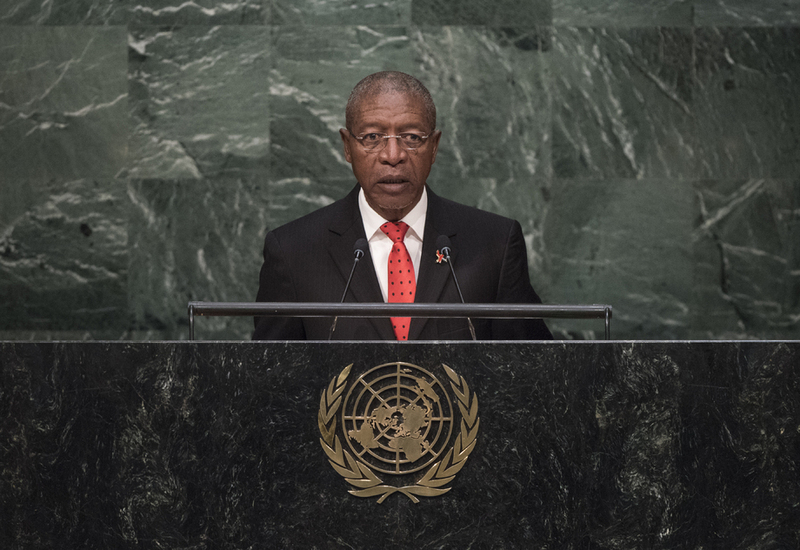 PAKALITHA B. MOSISILI, Prime Minister of Lesotho, said his new coalition Government had committed to ensuring that his country emerged from the group of least developed States by 2025. In line with the Sustainable Development Goals, it would intensify efforts already underway in the area of nutrition and had recently launched an innovative energy policy to ensure a substantial increase of renewable energy production. More importantly, as a first step towards political stability, it had recognized and agreed to constitutional reform. Despite the United Nations’ achievements, the world remained beset by challenges such as poverty and hunger and the illegal trade of small arms and light weapons, he said. It faced ongoing violence in Syria, Iraq, Yemen and some parts of Africa, while it dealt with a staggering refugee crisis. Terrorism had increased world-wide and had become more brazen and lethal than ever before. Climate change, if not addressed effectively, would continue to “rewrite the global equation” for development, peace and prosperity. He called for a quick conclusion to the Doha Development Agenda according to its mandate, so that it could fully deliver its development objectives. On the functioning of the United Nations, he said the Council must be made more transparent, inclusive and democratic, adding that a Council that represented Africa and other marginalized regions in the permanent category would acquire legitimacy. The revitalization of the Assembly — the United Nations’ principal policy-making, deliberative and most representative organ — must be hastened. Its resolutions should no longer be regarded as mere recommendations that could be casually ignored. Finding practical and lasting solutions to issues such as climate change, food shortages and HIV/AIDS was the Organization’s most complex task. In that regard, his country aimed to intensify the fight against HIV/AIDS and aimed to achieve its health-related goal by the year 2030.